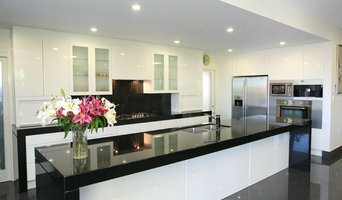 based in West End Brisbane since 1990 we have been catering for renovation and new home projects for 26 years. We specialize in design and manufacturing. David Addison has been creating quality furniture, kitchens, restorations and renovations for over 40 years. With a strong focus on accuracy and attention to detail, David is able to provide Kitchens, Furniture and Timber Products that are of high quality and one of a kind pieces to suit your home or office. Antique restorations are also an area where David will easily impress you with his craftsmanship and ability to restore any item with skill and respect. Looking for a unique item of furniture for your office, lounge, bedroom or living area? Look no further. Every piece is hand crafted to your specifications and requirements and will be completely original. Use of solid timber in any species is a speciality of David's as he creates your masterpiece. David is also able to match existing items of furniture timbers and/or colour schemes to fit in with your beloved pieces while adding to your collection. Additional services include tiling and splashbacks, simple plumbing alterations in relation to your kitchen, home renovations (David has a BSA Building Licence) and fitting of furniture to your room to ensure that it is delivered and installed correctly for you. Contact David for an obligation free quote and to discuss your options and wishes for your next project. StyleLite manufacture a range of high quality laminated panel products. It's the ideal solution for cabinetmakers, builders, architects and homeowners looking to add the perfect touch to their projects. 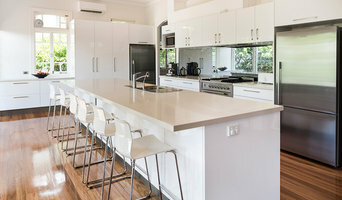 Kitchen, bathroom, homes office and bar design and installation - anywhere from new homes to complete new design.